Merville Galleries was launched in September 2012 by Thomas Lighton, and specialises in Twentieth Century Art, and Contemporary Art by established and emerging artists. Merville Galleries is delighted to present Jill McManners’ second solo exhibition at the Mall Galleries, London from 6 -18 February 2017. Jill McManners studied sculpture at the Central School of Art and Design, London. After training she helped run A+A Casting, a fine art bronze foundry in the East End of London, for nearly ten years as well as exhibiting at various galleries including Agnews throughout the 80s. 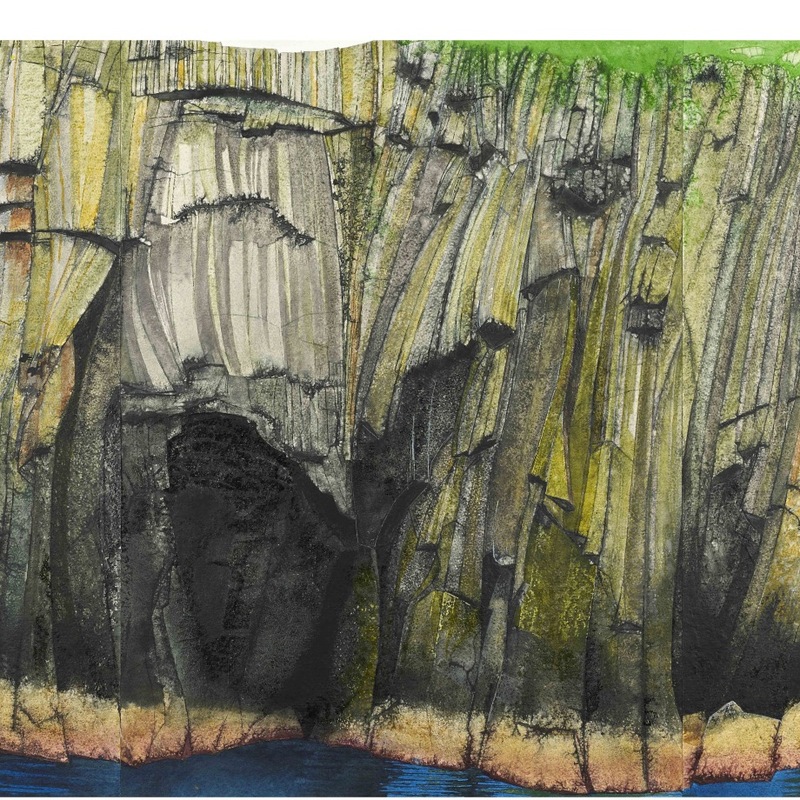 In 2006, after taking a break in her career to raise her three boys, McManners embarked on a series of works depicting the cliff faces of the Shiants in the Outer Hebrides. These intensely dramatic rock formations would become the focal point and inspiration for her work for the next decade. Many have observed that McManners’ early years working with molten metal informed and led to her later fascination and dedication to the molten rock formations of the Shiants.